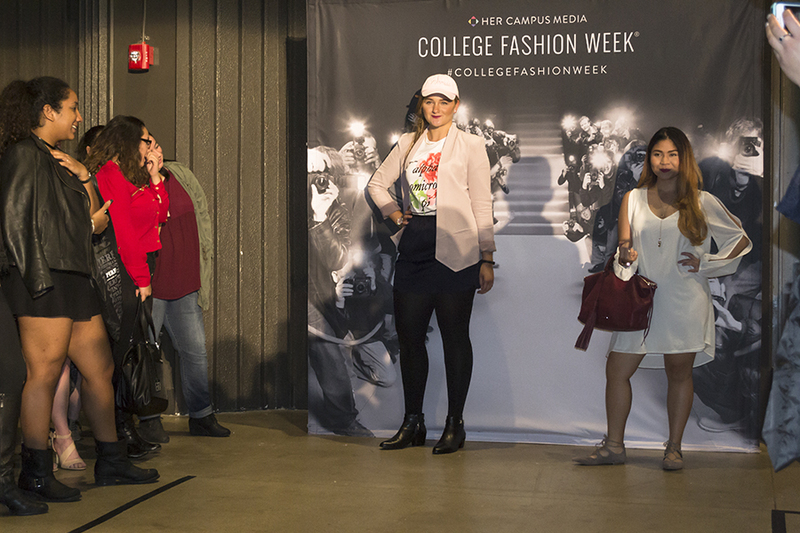 On Saturday, September 24th, I attended Her Campus College Fashion Week Boston for the third time, which is so crazy to me! Being a junior in college is a weird feeling. It couldn't have been more fitting I was a VIP to the show and also Press this time around. 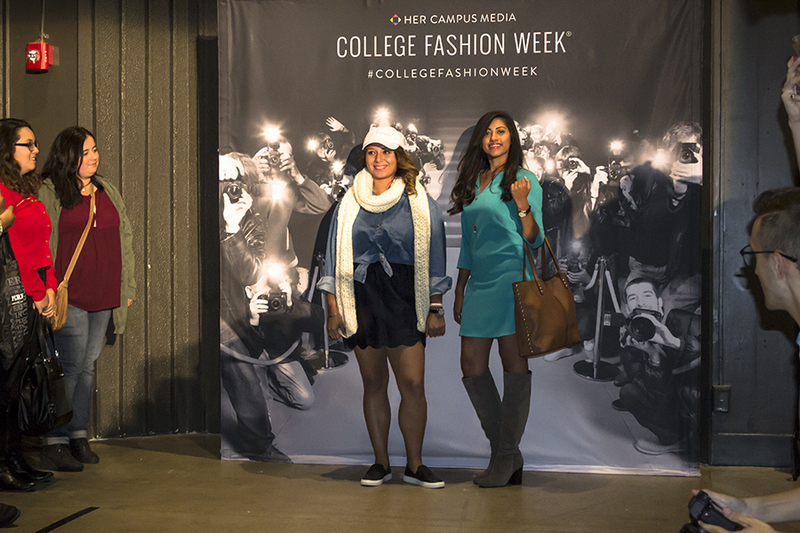 Thanks to Her Campus, I was a Social Media Correspondent and took over the Her Campus Twitter account during the event. I had an incredible time tweeting all night long about the fashion, food, fun, and fantastic Beyonce, Rihanna, and Drake filled playlist. 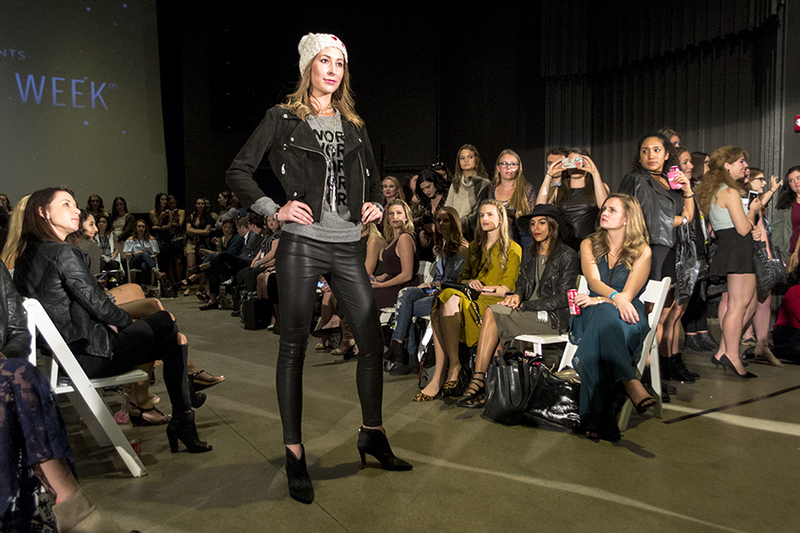 This year's CFW Boston was held at the cool and edgy Space 57 at The Revere Hotel. Sips were courtesy of Sparkling Ice and there were yummy treats like cupcakes and a candy bar. 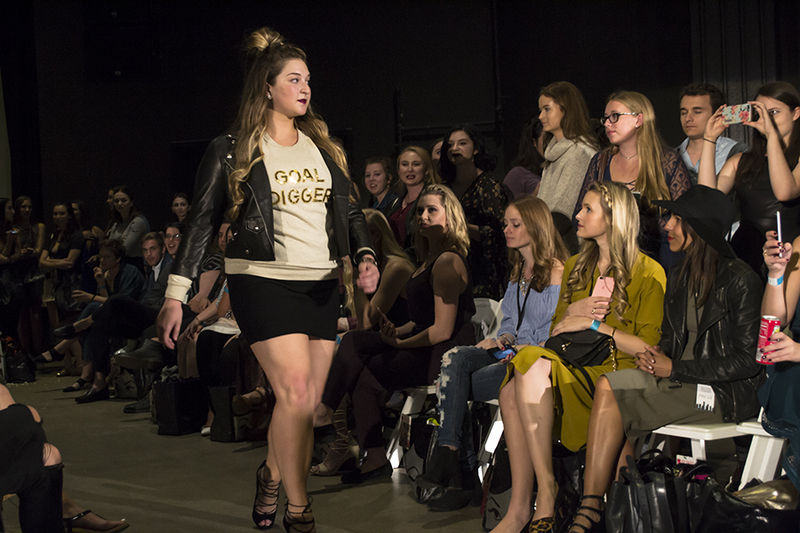 Before the fashion show started, I had the opportunity to interview co-founder of Her Campus Media, Stephanie Kaplan-Lewis, about her experience with Her Campus and advice she has for women who want to get ahead in the business world. Q: "What advice do you have for women who want to be in business when it's such a male dominated field?" A: "Take advantage while you're a young woman of all the resources that are specifically available to young women who want to go into business. 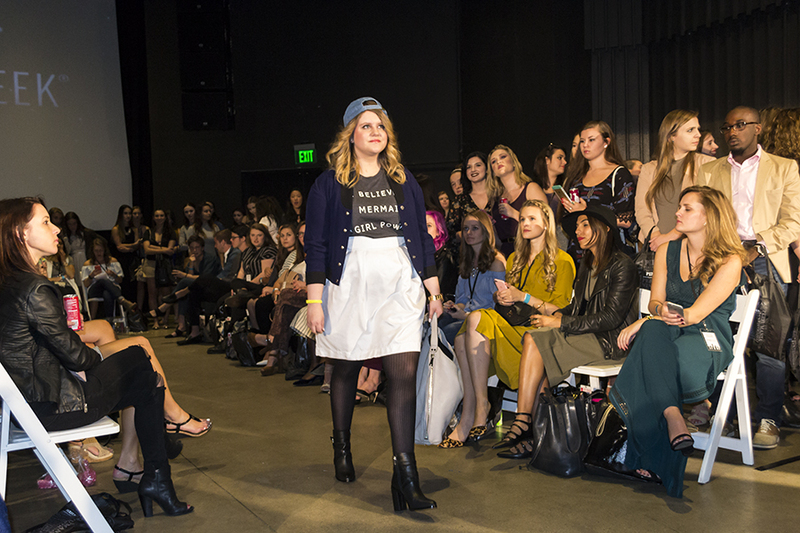 Many colleges have a women in business group or women in business conference. 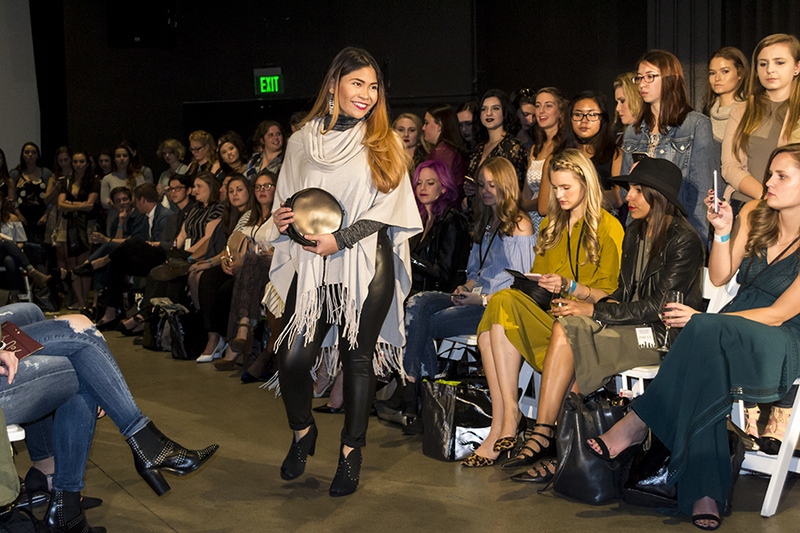 There are so many different business plan competitions and scholarships that are available only to women." 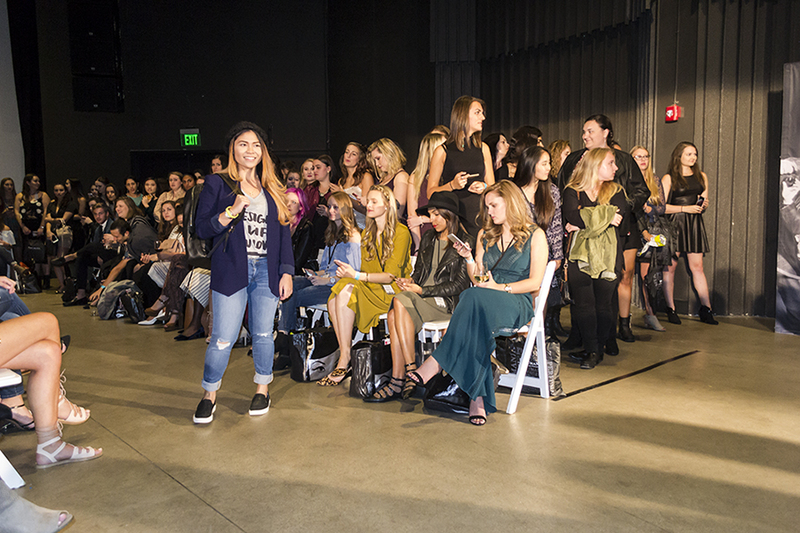 Q:"What advice would you give to people who are trying to get ahead in the fashion or business world, or whatever it is they're interested in, as far as networking?" A: "The first thing for your personal brand is having active social profiles on all of the major platforms and making sure that those are public platforms, not internal ones. 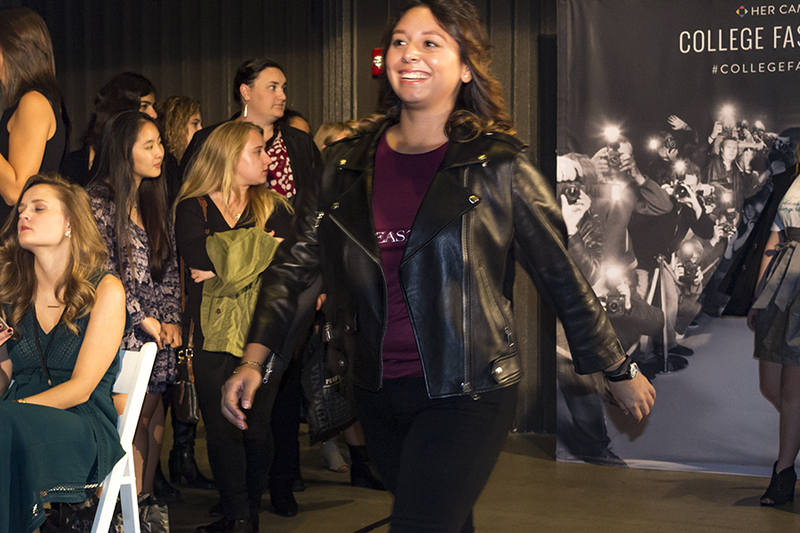 When it comes to networking, take advantage of every opportunity you have to go hear a speaker, go to an event, and just go up and introduce yourself. Give them your business card, get their business card, and then follow up with them afterwards." Q: "What trends are you really into right now?" 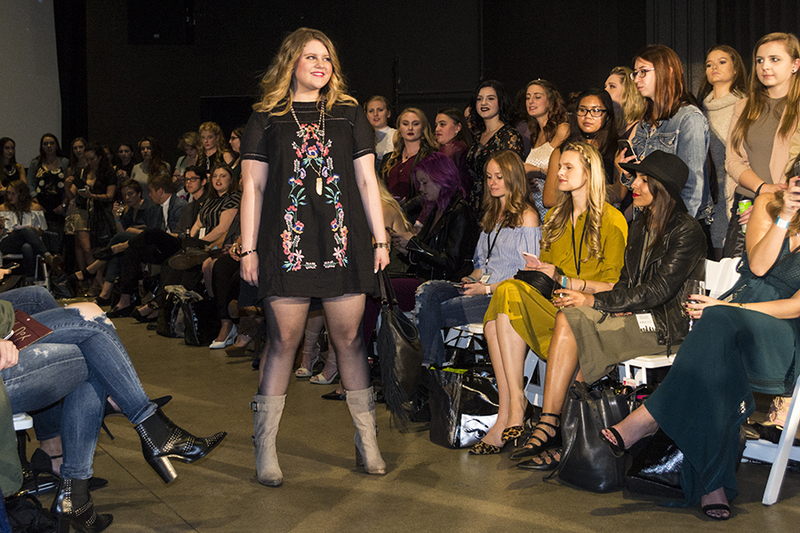 A: "I really like leather jackets, maxi dresses extending beyond summer and into fall, booties that have the peep toe, geo jewelry I'm really liking, and graphic tees and sweatshirts with all those fun sayings on them." Q: "What is you favorite thing about Her Campus?" A: "It's so hard to say. I think it's getting to interact with all the college women that are a part of Her Campus at all these campus chapters, especially when we get to see them in person at events like this. 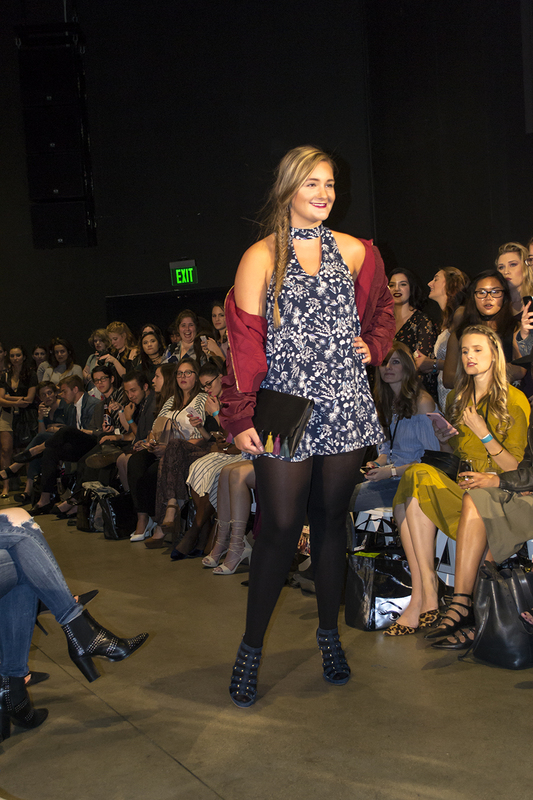 To get to really have that interaction in person and meet all these women who Her Campus has been such a big part of their college careers is really cool." Q: "Where do you hope to see Her Campus moving forward? What's next for Her Campus?" 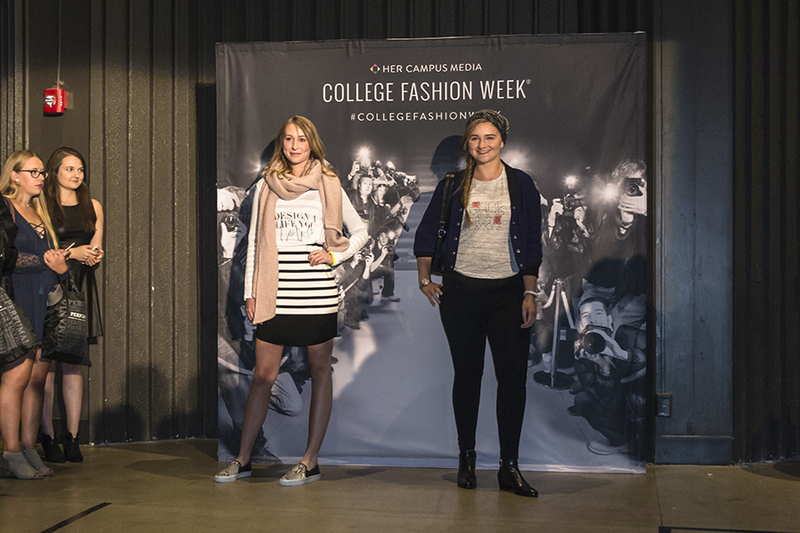 A: "We really want to continue blowing out the Her Campus brand. We're doing a lot of hiring right now so if anyone lives in Boston they should check out our careers page. 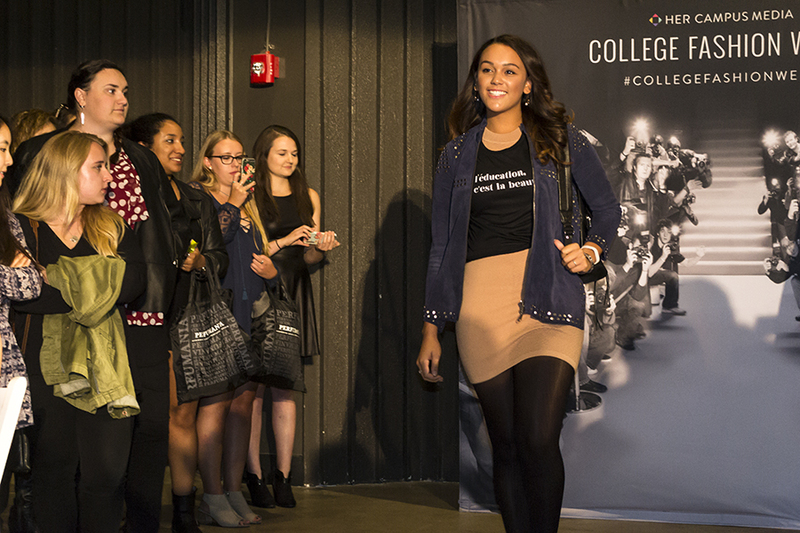 Our big picture vision for Her Campus is for it to be kind of "the" brand for college women across every platform. We've started doing some of that brand extension over these past few years. We would love to have a Her Campus line of dorm room merchandise sold at Target one day for example, and roll out more books. We started with the website because that is what made the most sense at the time, but really Her Campus is kind of a brand and community, rather than tied to any one platform, is how we think of it. 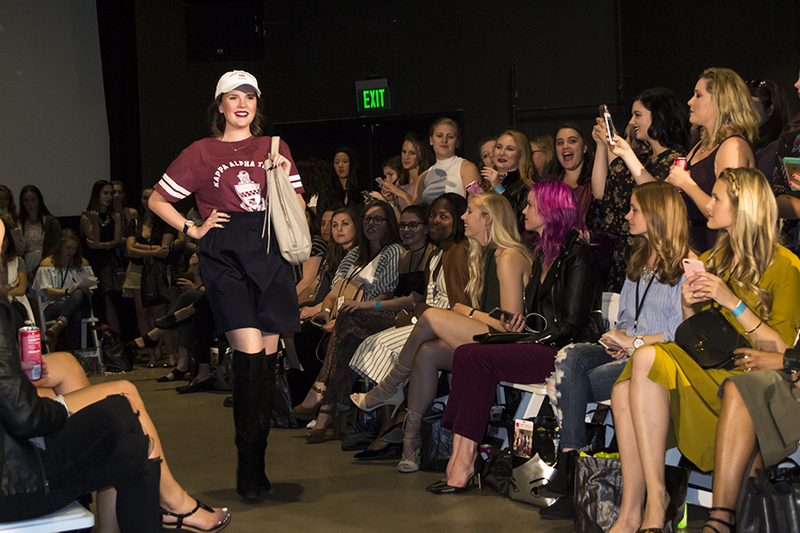 As college women evolve and where they're hanging out evolves, whether that's on a website, on social media, at events like this one, we want to have the Her Campus brand be there." Thank you, Stephanie, for taking the time to interview! I will definitely be making some business cards up ASAP. 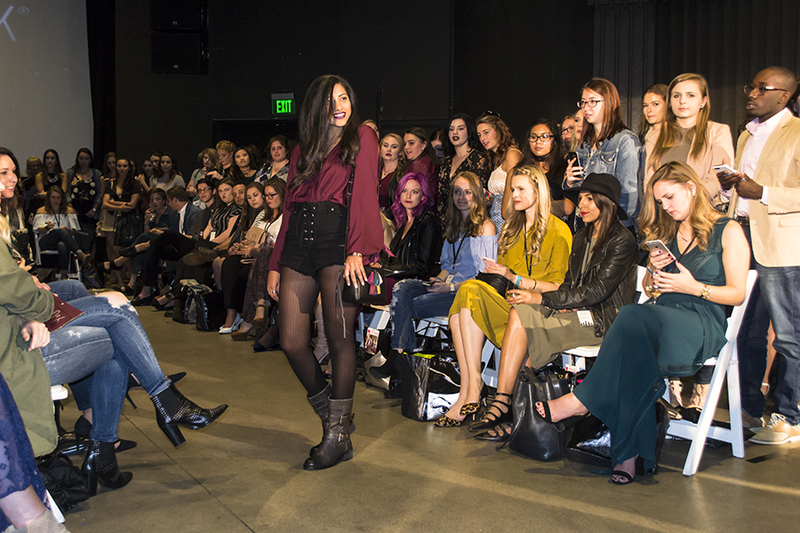 Shortly after the interview, it was time for the fashion show, always a favorite of mine. 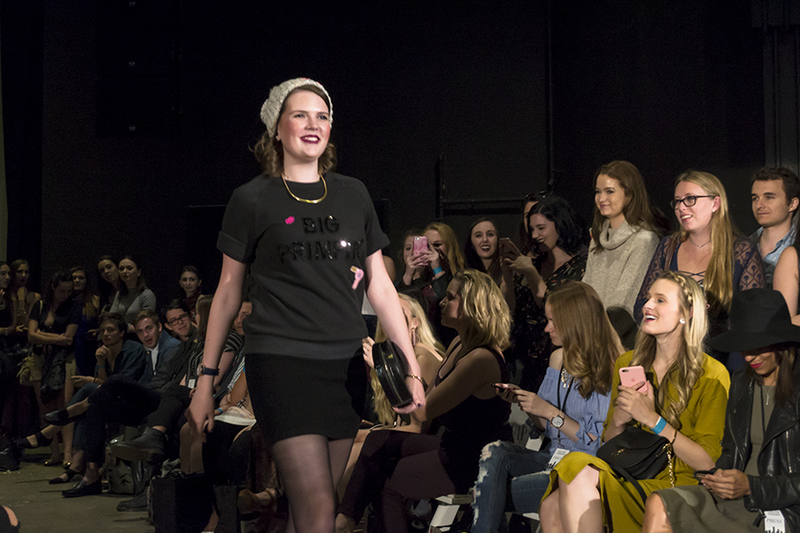 There were four collections: Study Chic, Festival, Rush, and Girls' Night Out. 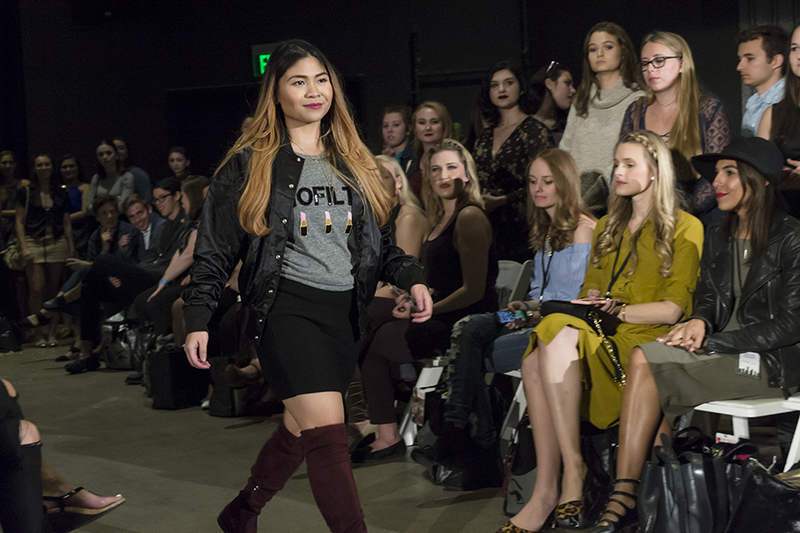 Study Chic featured looks that are perfect for heading to class, Festival, my favorite collection, definitely took inspiration from Coachella, Rush reminded me of the outfits on Scream Queens, and Girls' Night Out was all about girl power. 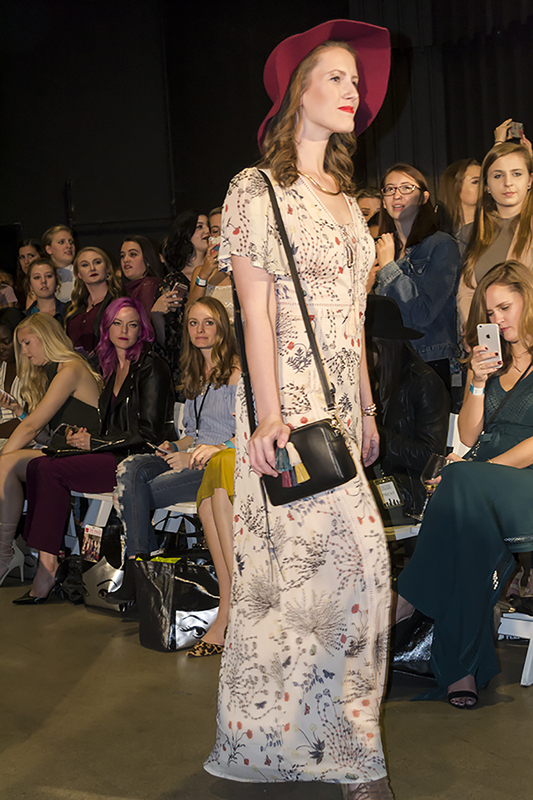 Clothes, handbags, and accessories for the show are from My Social Canvas, Foray Collective, Ali & Ariel, Frill Clothing, Bow & Drape, Rebecca Minkoff, Vince Camuto, and Fitbit. 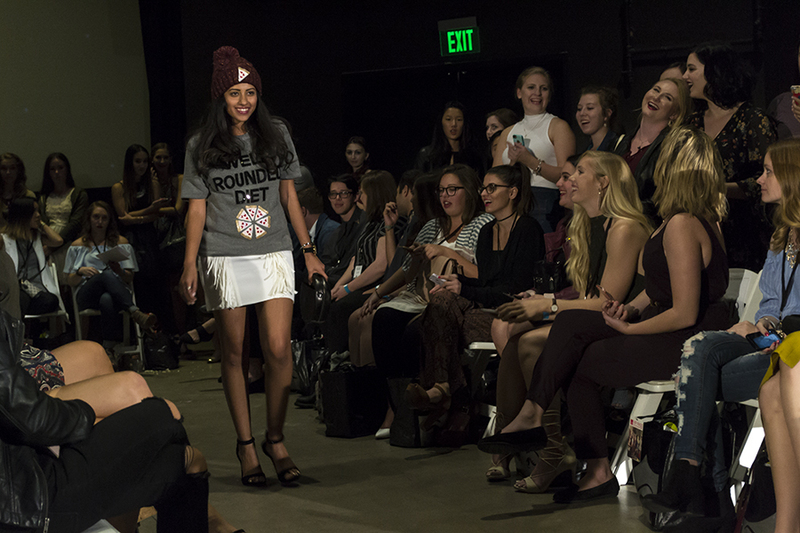 Check out the runway recap below! 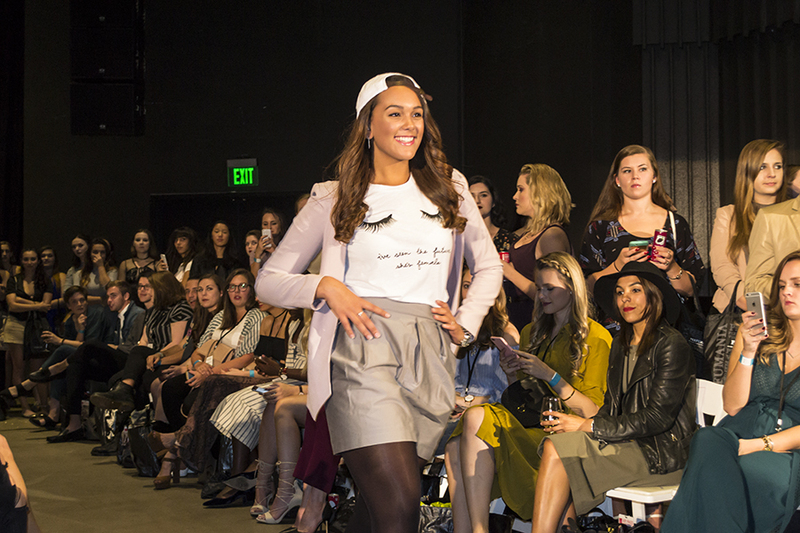 Shoutout to all the fierce college ladies who slayed the game on the runway! 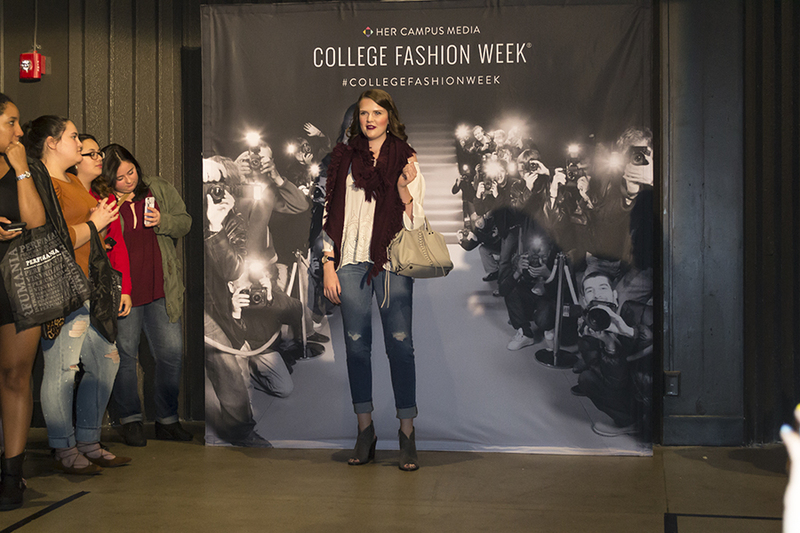 I went for a classic meets modern look for this year's College Fashion Week. 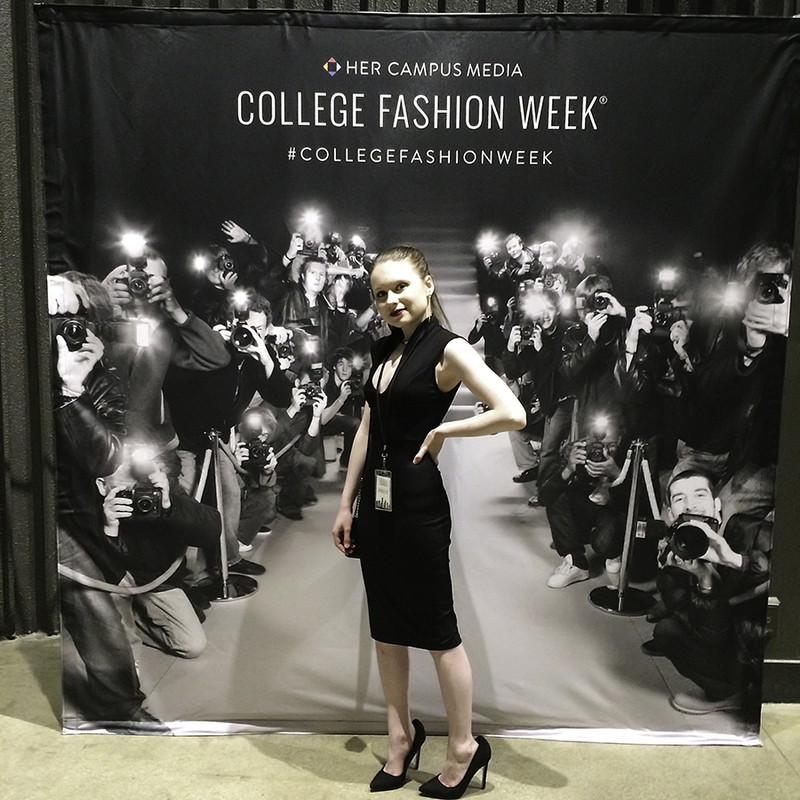 I wore a LBD with black heels, a black mini bag, and gold jewelry. The dress reminds me of one Claire Underwood from House of Cards would wear, which I'm totally down with. As for my makeup, I went glam with a smoky eye and dark plum lip in the shade 'Quelle Surprise' from MAC. Get the outfit details below! 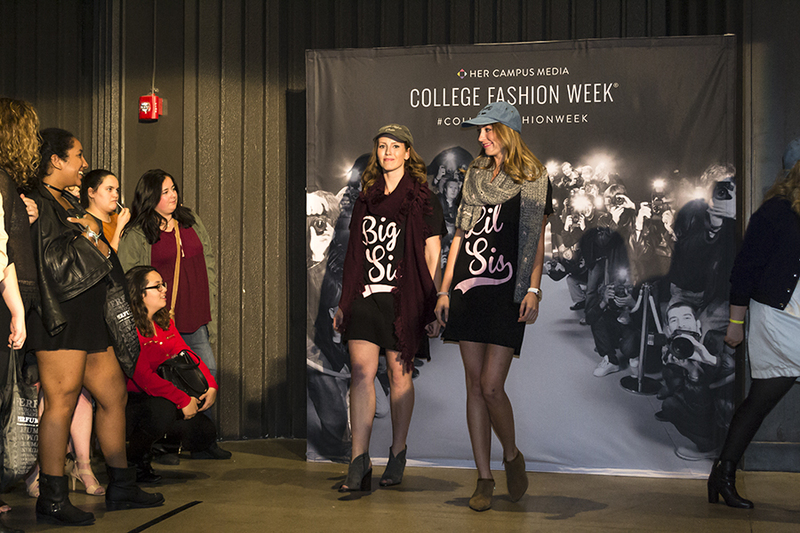 Of course, College Fashion Week wouldn't be complete with the swag bag! The VIP goodies were on point this year. 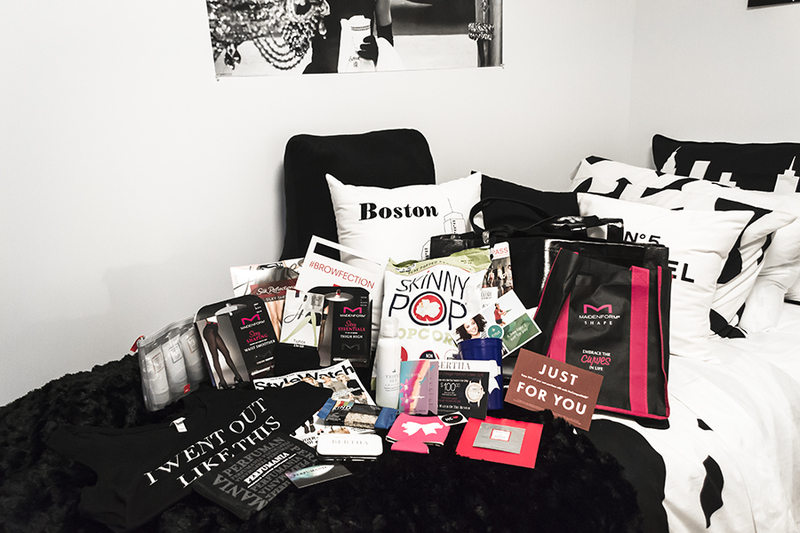 Thank you to all the sponsors! 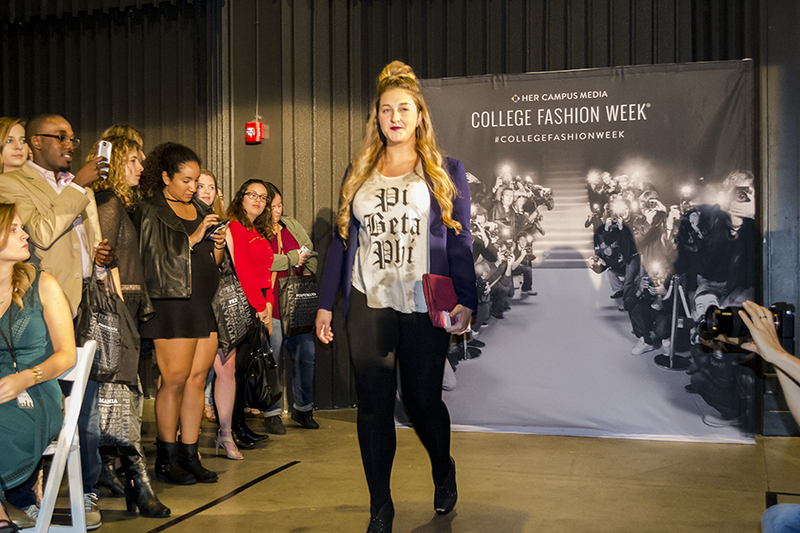 College Fashion Week Boston 2016 was an incredible experience. 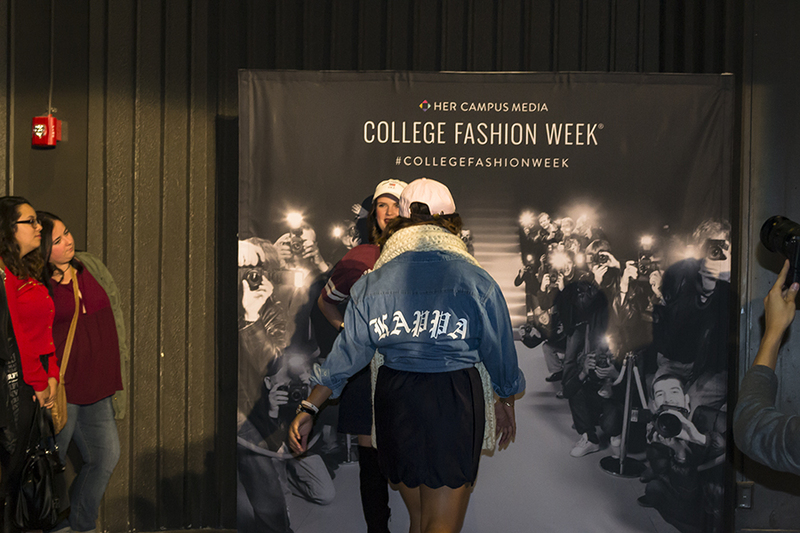 I'm so happy I was able to work with Her Campus and cover the event. A big thank you to everyone at Her Campus Media for the opportunity. 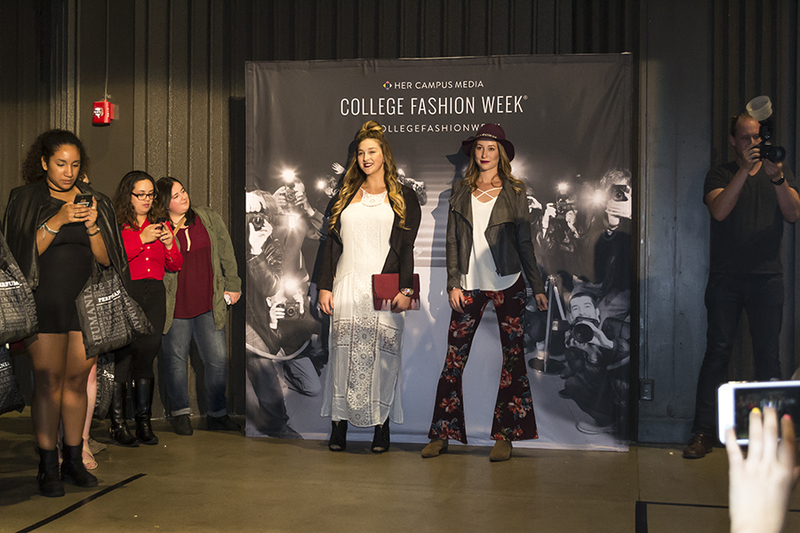 If there's a College Fashion Week in your area, definitely go! 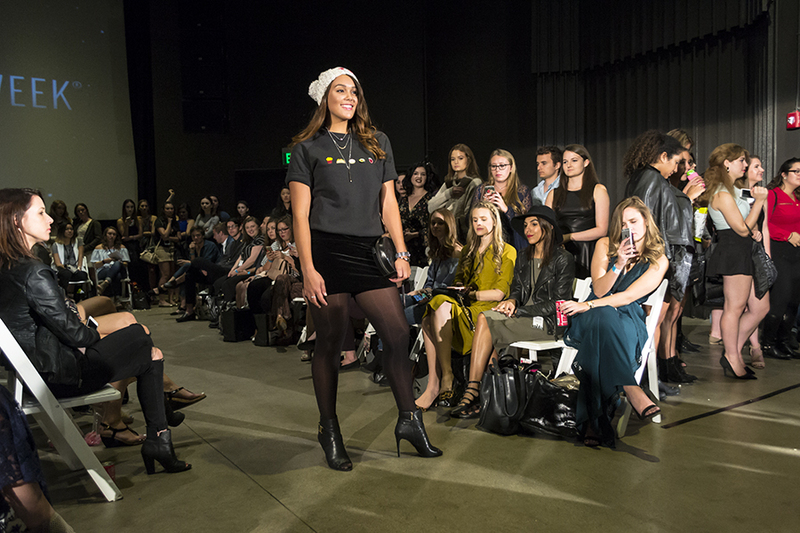 You're in for a chic, stylish, and inspiring evening. 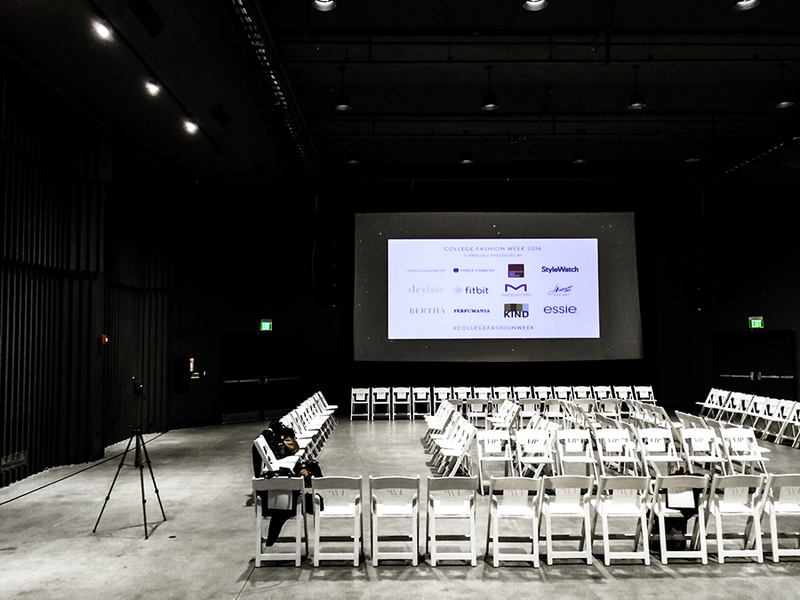 Services areas of an event management company include corporate event venues San Francisco such as product launches, corporate seminars, and forums. Services also comprise of retail advertising programs such as road shows and training programs. At Moon Bitcoin you can get FREE bitcoins. 514 satoshis per day.